The original version was a Microsoft Excel spreadsheet developed by Global FlyFisher partner Steve Schweitzer. In 2016 it was updated to an online tool by Martin Joergensen. 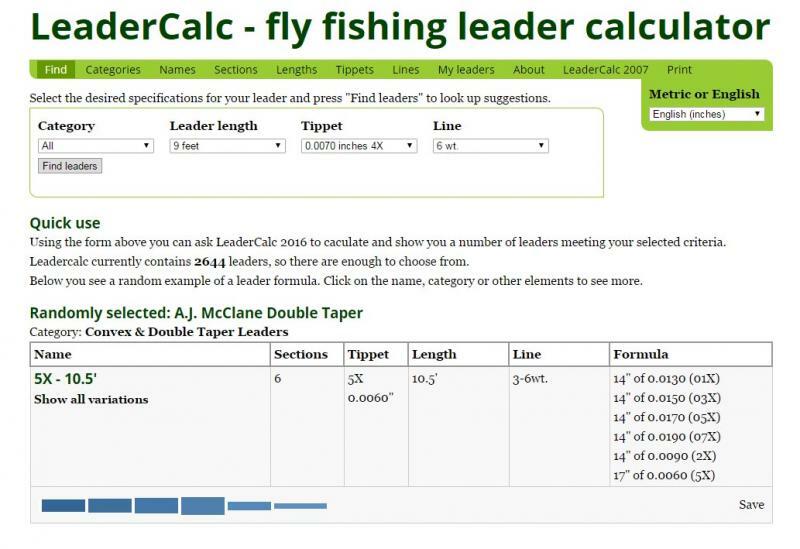 LeaderCalc currently contains 2791 leaders for fly fishing, so there are enough to choose from. Below you see a couple of randomly selected knotted, tapered leader formulas. Click on the name, category or other elements to see more.